Kuwaiba is an open-source, enterprise-grade network inventory system for the telecom and IT industry. It looks forward to support Asset, Change and Facility Management processes and to be a key element in the implementation of ITIL and COBIT components. What commercial products around do what Kuwaiba does? Why Kuwaiba is different from those products? It’s free! (as in beer and as in speech). No matter how many objects you want to manage or how many users will use concurrently the application, the cost is the same: zero. Use of open standards and well documented API. No more proprietary protocols or tons of money for consultants to create plugins, complex queries or reports. Hire your own development team or get commercial support from Neotropic SAS. Light and fast. You don't need a cluster of 64GB RAM, octa-core servers. The most basic setup runs smoothly on a conventional 1GB of RAM, single-core machine (A simple Amazon t2.micro instance). Forget the operating system lock-in. This software is cross-platform. Community, not a corporate agenda defines the roadmap of the product. Client and server are dual-licensed EPL v1 and GPL v3. The third party components used have their own compatible open source licenses (see details below, in the License section). This project is officially backed by Neotropic SAS. Is there commercial support for Kuwaiba? 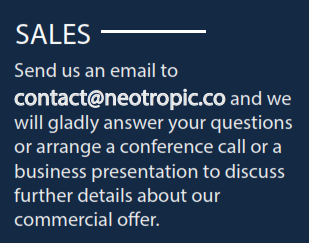 Yes, it’s provided by Neotropic SAS. Neotropic provides services such as consultancy, customization, deployment, integration, outsourced administration, around-the-clock support and training. There are also options for platform integrators. Or if you wish, you can get community support by using the public forums and mailing lists. Just as a satisfied user willing to spread the word! The project is licensed under EPL Version 1.0 and GPL version 3. This software makes use of different open source components, as listed below. Copyrights and trademarks correspond to their respective owners. Netbeans Platform, a framework to develop desktop applications in Java (CDDL). Neo4J, a powerful graph database (GPLv3). JCalendar, a very easy to use date picker (LGPL). JTattoo, an extremely customizable Java look and feel (GPLv3/LGPL/APL). Netbeans and Neo4J are trademarks of Oracle Corporation and Neo Technology respectively. We’re not claiming any ownership on any of the third-party components Kuwaiba uses.